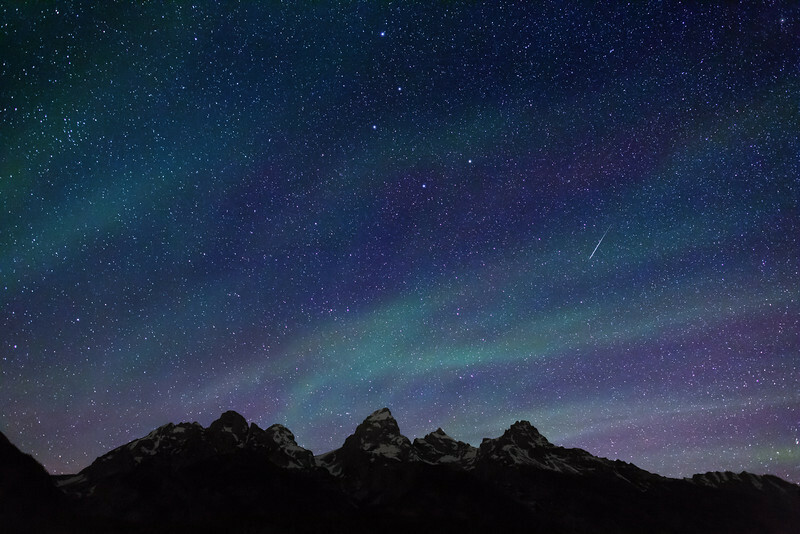 Starry night sky over Teton Range, Grand Teton National Park. Cirrus clouds, backlighted by stars give the impression of an aurora borealis. Note the meteor and a portion of the Big Dipper pointing to the North Star, Polaris, in the top right corner.